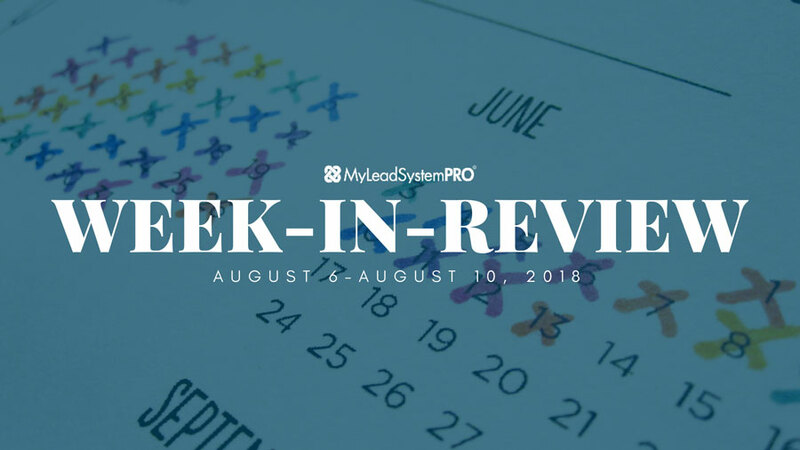 It’s a big week at MLSP! Right now as this is written, we’re celebrating our 10th Anniversary, and our 9th Live the Dream Event here in Austin! Our leaders are here delivering the goods, changing lives, and surely pushing people toward their breakthrough. But before that, they were all in as usual every single day to help YOU rewire your brain for success. You could certainly hear in their voices how amped they were about this awesome weekend. You shouldn’t miss a second of it, so the content they delivered is right below for you to take it all in! On Monday, Ryan was gearing up to speak at ‘Live the Dream!’ He was on fire and it showed in his voice and in the message he shared. This guy’s story wasn’t one of those rags to riches stories. From the outside to many it probably looked like he had it all. But something was missing, and he knew it. He’s now a social media marketing master, that’s earned tons of respect and leadership status here inside MLSP and beyond. However on Monday’s Wake Up Call he talked about something that’s way more important than any lead generation tactic. The decision that Ryan made in 2014 that he believes caused him to struggle for the entire year! The #1 thing that you MUST do if you truly want to see results with your business! How we so often miss the one thing that we need to do everyday that makes us BETTER than we are today! Ryan brought his amazing energy and message over to the MLSP Facebook Page as soon as his Wake Up Call was done! He went more into his topic and it’s powerful for anyone who wants to get better and better each and everyday! 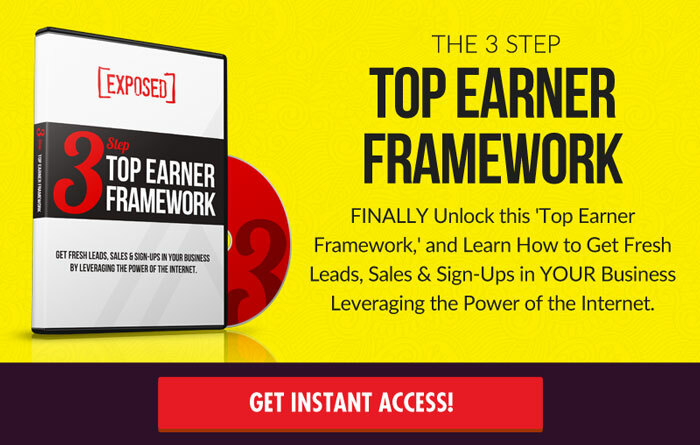 The dream for most people when they start a home business is to hit that six-figure mark. One thing that you might not realize is that to do this, you must invest in yourself. When you do, you get a return on that investment. Events like Live the Dream are exactly that. Investments. And though it’s not always easy to get to these, or “afford” it, the payoff can be multiple times what you will spend! Steve realized this way back in 2013, and now he’s a multi six-figure earner, a top coach, and someone that this industry looks up to! He changes lives daily, and along the way was able to change his own life! You’ll want to listen to ever word of Steve’s ‘Wake Up Call’ from Tuesday so YOU understand this at a deep level! A decision that Steve made in October of 2013 that changed his perception forever! Why sometimes we need to be UNREASONABLE to step up in our lives and show up for yourself! The reason why when you spend money on an event, you’re not spending money…you’re investing in yourself! Steve was pumped after this call! He brought that fire over to the MLSP FB Page and he dove into even more that will have a major impact on your life. This is a dude who changes lives every day though his coaching. It’s not cheap. You’ve got the chance to be coached by him for FREE on this LIVE! Take advantage of that! Too often people think of success as something that happens TO them, rather than something that they make happen! However when you look at success through the eyes of a leader like Keysha Bass, you see that success isn’t something you simply wait for, or hope for. You create it intentionally. It’s deliberate! Keysha’s Wake Up Call from Wednesday should be required listening for anybody looking to change their life! Definitions that you MUST learn, know, and understand to reach the success that YOU have the ability to reach in your life! Keysha’s CHALLENGE for YOU for the next 30 days that will change your life! Why it’s almost an injustice for you NOT to sell stuff to people! Keysha jumped straight over to the MLSP Facebook Page so she could go even deeper into this vital topic. While you’re watching, take a peek at the checks behind Keysha in her LIVE broadcast. You can bet that those came not by chance, but through serious intention!! Rapport is vital if you want to close sales, recruit more people, and get more clients! The question is, how do you build that rapport? Where does rapport come from, and what are the steps to create it? Erin Birch is a master at prospecting on Facebook. Her techniques earned her over $100K in her first of business as she mastered building rapport. You can do it too, and Erin shows you how it’s done on this awesome Wake Up Call! How to change your perspective to get the sales and sign ups that you need to grow your business quickly! A passage from the powerful book that Erin Birch is currently reading that will turn YOU into an extremely effective communicator! Erin breaks down simple but powerful techniques that you can use in your marketing and life to get better results in both areas FAST! What you MUST understand about every single human being… that will turn you into a master communicator! MLSP founder and CEO Brian Fanale was calling in from Austin, TX right before the big 10th Anniversary Gala on Friday night! He took the time to bring YOU the concept that’s helped him so much in his life, and for the company that he’s helped build for a decade. Gratitude! It doesn’t always come easy, but it’s most certainly necessary if you want to create success on this journey and in this life! This one Wake Up Call podcast will change some people forever. Maybe YOU! It’s worth dropping everything right now to listen and apply what Brian talks about. It’s life-changing! The #1 thing that’s guided Brian more than anything else through ALL the struggle he’s had since getting started in 2005! Why if you’re listening to this online, or on your phone, you’re actually in the top 3% of the world! The emotions that wealthy people don’t feel that you must start eliminating from your mindset today! The magic that happens once you get out of survival mode, and start getting on a better mindset program. And so much more on this POWERFUL Wake-Up Call! How Will You Apply What You’ve Just Learned In Your Life? All of the content above is gold! But it will not do you any good just listening and watching what the leaders said. You must show up and put it to use. Doesn’t have to be all of it right now, but pick one or two things that you’ll apply this coming week, and keep track of the changes in your business and your life! The truth is you may not even realize the impact that these mindset shifts could have on your business and your life yet! And you never will unless you take action. You can see what happens when you begin to rewire your brain on the latest Success Story Saturday post! Click Here to See This Week’s Success Stories!